We are encouraged and pleased that the Cairngorms National Park Authority (CNPA) is recommending approval for the An Camas Mòr community as it first did in 2014. The local community has campaigned for many years to realise the vision first conceived by Aviemore and Vicinity Community Council for a new sister community to Aviemore that would enable growth of infrastructure including a wide range of community homes. 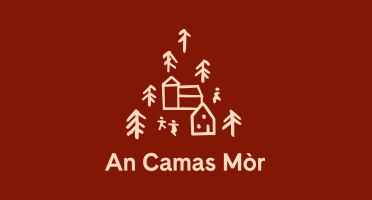 Following a period of extensive public consultation, An Camas Mòr has continued to be supported by Aviemore and Vicinity Community Council, other elected representatives from within the community, a significant number of local businesses and local residents. We look forward to hearing the respective views at the CNPA Planning Committee next Friday and will happily engage with CNPA to incorporate its recommended conditions. As we have consistently done, we will continue to work with our many partners to enable this exciting project to become a reality and realise the long term benefits for the people and businesses of our area. Our plans were awarded Scottish Sustainable Communities Initiative exemplar status by the Scottish Government and once approved will enable our vision to become reality.